Easier said than done sometime hey! When I look back over the last 47 years of my life I have spent SO much time and energy trying to gain other people’s approval AND most of the time I was trading in my authenticity to do so. I suspect, for me, this is a key part of what is behind the Authentic Woman Vision – to Inspire all Women to Truly Be Ourselves and, ultimately the development of our new Online Program to support all of us to feel more confident, calm and connected. To create deeply authentic and meaningful lives. It’s so interesting to me that just as I sat down to start writing this post I had a call from one of my teenage son, Hugo’s, teachers. He had asked Hugo to apologise for something that happened in class today and Hugo had refused. The teacher was ringing to ask me to talk to Hugo, to ask him to apologise or he was thinking of giving him a detention. When Hugo got home from school we talked it over and Hugo explained his perspective to me and that he genuinely did not feel he had done anything wrong. As he explained it I could see both sides of the story, but, very embarrassingly, I still found myself saying to Hugo ‘couldn’t you just have given him what he asked for, couldn’t you just have apologised rather than digging your heals in’. And Hugo, beautifully said to me ‘mum, that is just not in my nature’. He was right! Hugo is quite good at saying sorry when he knows he is in the wrong and in this case he didn’t feel he was. And ultimately, I apologised to him for suggesting he go against his authentic truth. Hallelujah! He is not prepared to go around over-apologising for himself, or being someone else just so his teacher will like him, just to gain his approval. When I talked it through with his teacher and explained Hugo’s perspective, his teacher admitted that he may have got it wrong, that it may have been a misunderstanding. I said to the teacher, ‘while I appreciate your need to feel respected in the class room, I can’t ask my son to apologise for something he genuinely feels he did not do’. I told him I really respect that Hugo has the strength to not just say what people want to hear. The teacher said ‘don’t tell Hugo I said this, but I really admire that in him too. He has a very strong ethical inner compass’. I never had that. I never felt I had the right to my own views, opinions, perspectives, especially when it came to authority figures. I spent much of my life not having a voice, denying my truth. Until I embarked on the journey of Compassionate Self-Awareness. 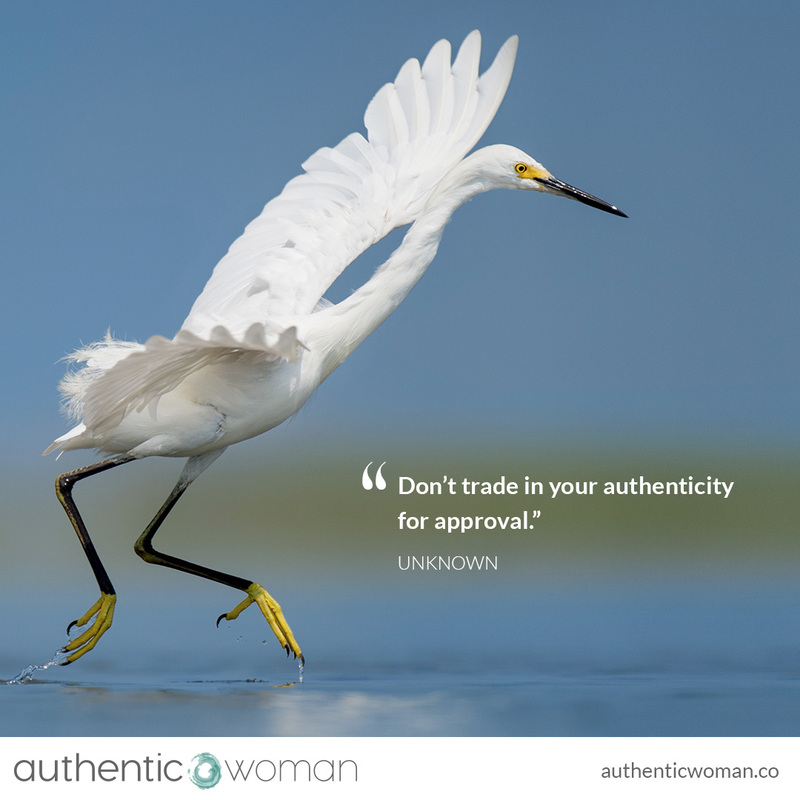 Until I started the daily practice of ‘not trading my authenticity in for approval’. Until I started to make my own approval, my self-respect, more important than what others thought about me. Until I learnt to say no. To care for myself as much as I do others. While it has felt very challenging at times, there has been no greater gift in my life, than the gift of finally coming home to myself. May we all practice giving this gift to ourselves.